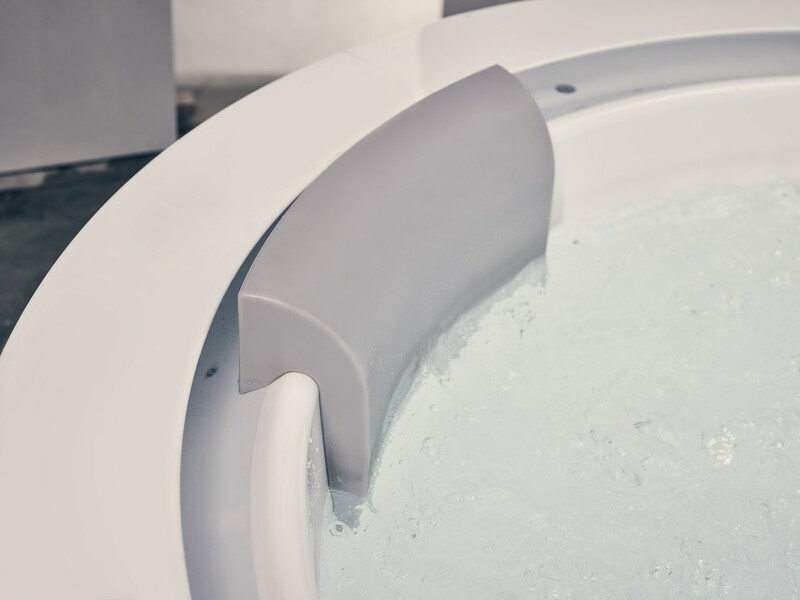 One ‘must-have’ optional accessory for your beautiful Infinity R1 Heated Therapy Bathtub is our wonderfully comfortable, ergonomically designed Infinity R1 headrest. Crafted by hand in Italy, this headrest uses the latest ‘memory shape’ polyurethane gel molded to support and rest the neck and head in utmost comfort. This gel is durable, elastic, soft to feel, non-toxic and unbreakable. The headrest in pleasant grey color is formed to sit in place without the use of adhesives. 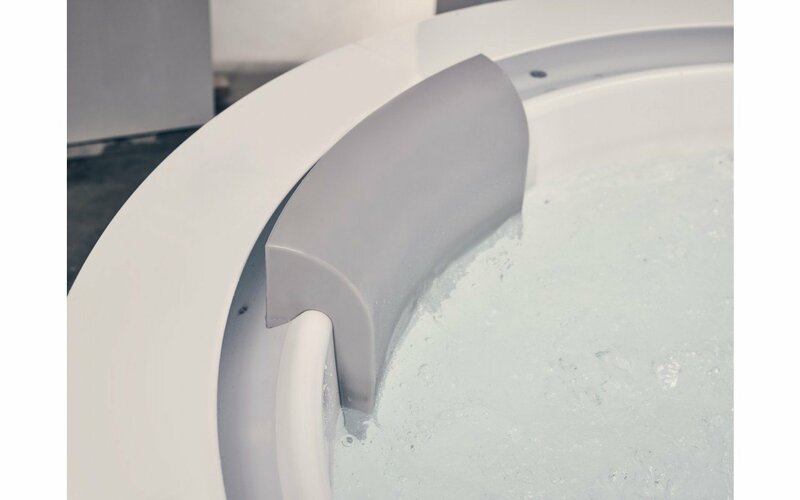 One ‘must-have’ optional accessory for your beautiful Infinity R1 Heated Therapy Bathtub is our wonderfully comfortable, ergonomically designed Infinity R1 headrest. 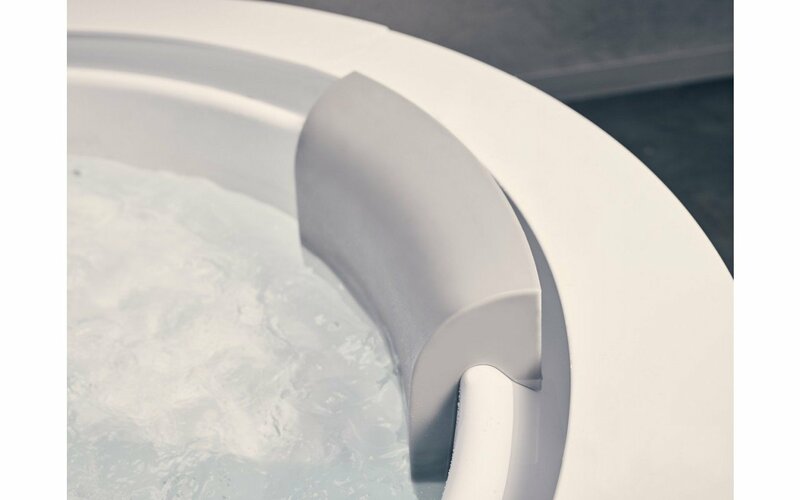 Crafted by hand in Italy, this headrest uses the latest ‘memory shape’ polyurethane gel molded to support and rest the neck and head in utmost comfort. This gel is durable, elastic, soft to feel, non-toxic and unbreakable. The headrest in pleasant grey color is formed to sit in place without the use of adhesives.